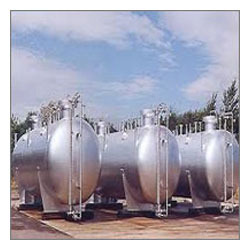 Manufacturer of a wide range of products which include chemical pressure vessel. Chemical Process Vessels offered are backed by our extensive experience in this field of operations that allows for its high-performance working as per the specific requirements of the customers. With superior finish design standards that allow clients to optimize their manufacturing processes, some of the industry sectors these find usage in include nuclear & solar energy sectors, chemical industries, metallurgy industry and others. Here, our expertise in the field of process engineering and handling intricacies involved in thermal design also ensure the offered process vessel options match up to the defined process constraints. Looking for Chemical Pressure Vessel ?